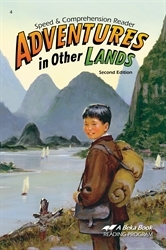 Help boost your child’s reading speed and comprehension with Adventures in Other Lands. This book includes exciting reading exercises about children living in foreign countries such as Japan, Peru, Bolivia, and more. 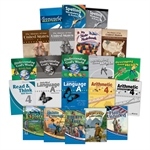 Each story lists the number of words in the selection and includes a removable quiz to test your child’s understanding of the passage. 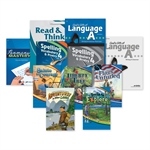 Complete with an Answer Key and a Reading Record Sheet, this reader allows you to evaluate and track your child’s progress as he advances in reading speed and comprehension.